ORIGINAL OWNER/BUILDER OF THIS COZY WALKOUT BI-LEVEL.VIEWS, VIEWS, VIEWS!! almost 2600 SQUARE FEET DEVELOPED *NO ANNOYING SUBDIVISION GUIDELINES, PARK ALL YOUR TOYS & STUFF! (see aerial photos).5 minutes from City limits, 20 minutes to downtown. 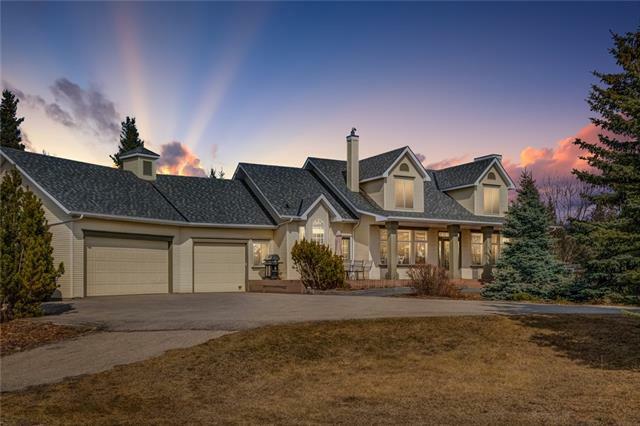 2 ACRES FULLY LANDSCAPED with more than 110 mature trees,some as high as 50ft.RANCHER FENCE AROUND THE PROPERTY LINE.Close to some of the best private/public schools, Webber Academy, The Edge for Athletes, Springbank K-12 & Park for all Seasons Sports/Community Centre. This WALKOUT BI-LEVEL features 4 beds & 4 baths.Main floor boasts large living rm, nook & kitchen in one open area. The WALKOUT has a 2nd kitchen, bedroom, office/den, laundry, 1-1/2 baths all with in-floor heat. handy area for, Nanny, Teen. TWO large double garages (1 attached (22.5'X21.1') & 1 detached (24.11'X20.11') both HEATED, 30amp for RV parking. **Seller's may consider a CONDO/TOWNHOUSE up tp $350,000 "Market Value" as Partial TRADE** * CLICK"Additional Internet Remarks. More information. North Springbank water co-op 70 lbs pressure, probably best water in Alberta. VIEWS OF MOUNTAINS, DOWNTOWN, CANADA OLYMPIC PARK, AND COCHRANE HILL!! Outside water and power pedestals around the property for convenience. Fire pit and patio. Both decks are wrapped in vinyl and surrounded with aluminum glass rail, nook deck has Natural gas hookup for BBQ.. The main floor is ALL hardwood and has been totally refinished. Air conditioner (Carrier). 8 foot x 12 foot (barn type) garden shed. 1000 gallon septic tank c/w OVERSIZED 600 foot septic field. (serviced every 2/3 years).Hot water tank 75 gallon, Lennox furnace , Apollo in-floor heating for basement, attached garage and master bed floor. Apollo has been serviced to spec. Extremely quiet /private location don’t miss an opportunity to own this “One of a kind “ Springbank gem at this LOW price. 2018 M.D. of Rocky view Property Assessment is $864,200.00. *Some outdoor photos are from our personal library. 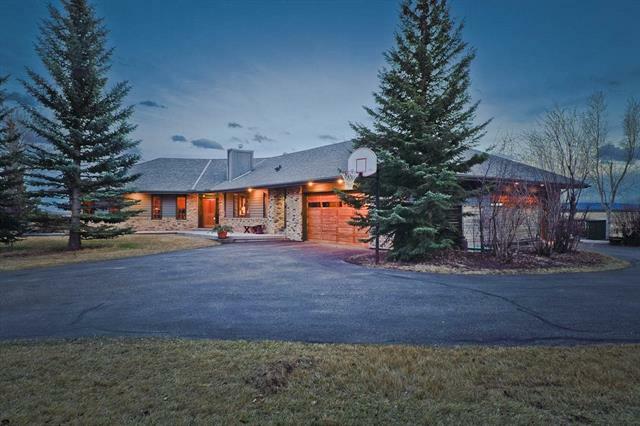 Home for sale at 250218 Range Road 32 Rural Rocky View County, Alberts T3Z 1E9. 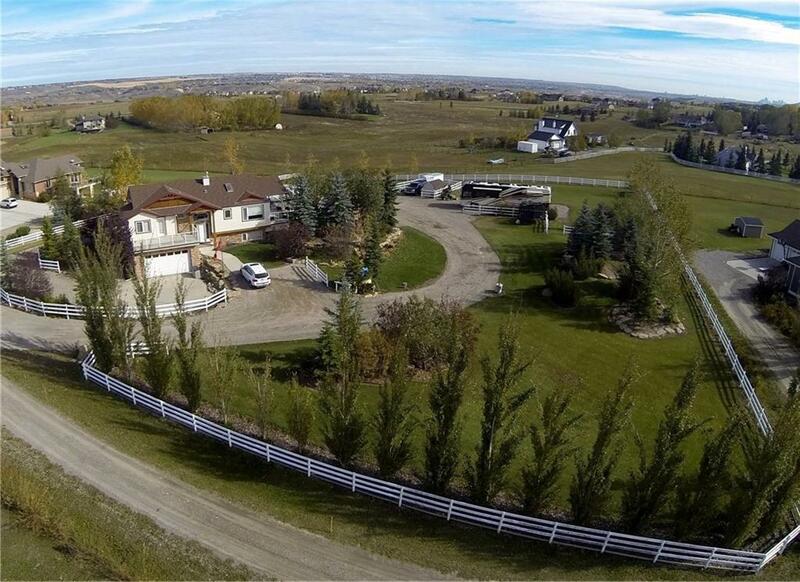 Description: The home at 250218 Range Road 32 Rural Rocky View County, Alberta T3Z 1E9 with the MLS® Number C4198315 is currently listed at $839,800.